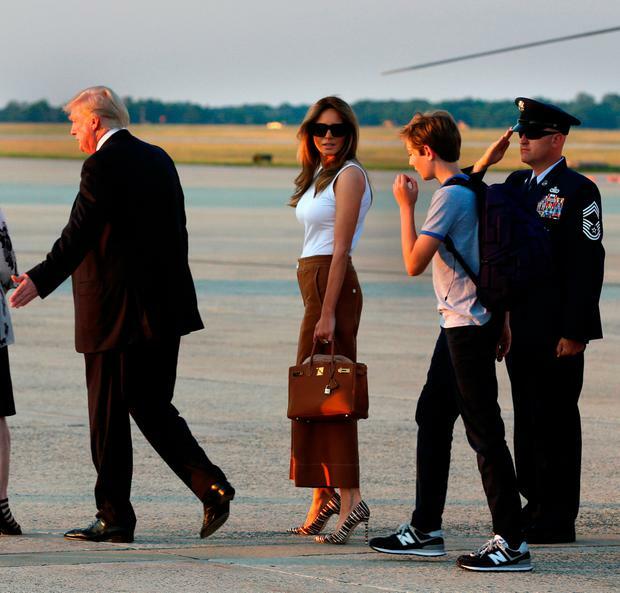 US First Lady Melania Trump has officially moved into the White House, but if her first outfit as a resident is anything to go by, geography hasn't changed her reluctance to accept a new life separate from her gilded existence in New York City. 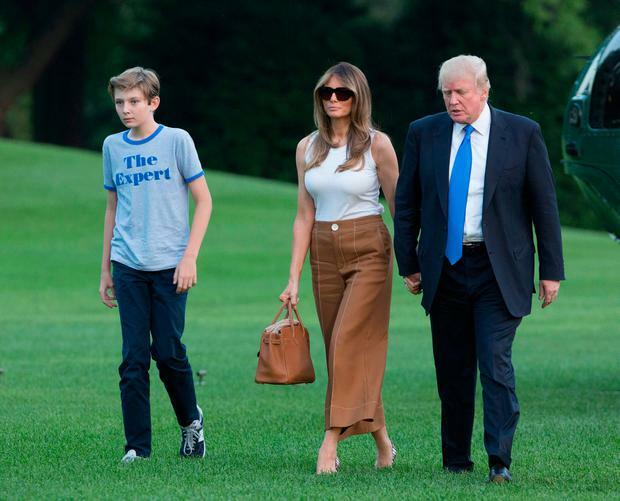 The 47-year-old former model arrived on the South Lawn of her new home with husband, US President Donald Trump and their 11-year-old son Barron with the ultimate status symbol in tow - an Hermès Birkin bag, costing an estimated €12,000. She completed her look with a pair of culottes, which are fast becoming her summer staple, a sleeveless white shell top and Christian Louboutin heels. Last month, Melania opted for a $51,000 floral 3D coat by Dolce & Gabbana while at the G7 Summit in Sicily. 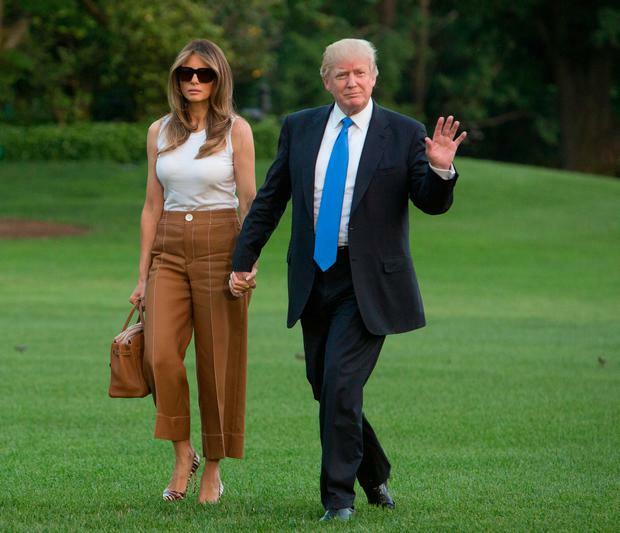 Her decision not to adjust her elaborate wardrobe since becoming first lady has divided critics and many designers have come forward revealing their refusal to dress her. "I was asked to dress [Melania Trump] quite a few years ago and I declined," he explained. "She's not necessarily my image." "The first lady — other than the fact that I'm a Democrat and voted for Hillary [Clinton] and am very sad and disappointed that she’s not in office — even had Hillary won, she shouldn't be wearing my clothes. They're too expensive."